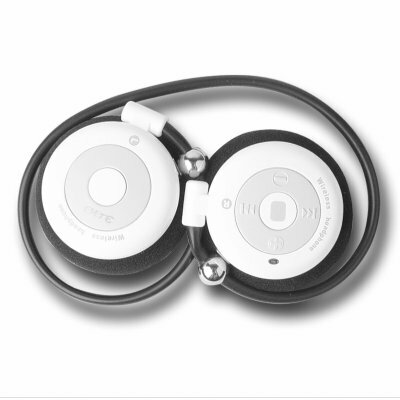 Successfully Added Mini Bluetooth Stereo Headphone - Music + Built-In MIC to your Shopping Cart. Easy to use and incredibly portable mini Bluetooth Stereo Headphone for listening to music wirelessly transmitted by a Bluetooth enabled devices or for making phone calls when paired with a Bluetooth Mobile Phone. With this great looking little Bluetooth Headphone you will be getting an incredible 2 x 1W sound output, a very comfortable fit over your ears voice dialing, and an pairing range of up to 10 Meters. You will be wowed with the possibilities from this easy to use and comfortably worn Bluetooth Stereo Headset, and for the price Chinavasion is offering, it is an easy choice for someone looking for a portable, loud, and cool looking Bluetooth device..